HVAC Services New Braunfels - Should I Cover My Air Conditioner In Winter? While winter here in New Braunfels isn’t nearly as harsh as it is in places like Minneapolis, where it once dropped to -40 degrees Fahrenheit, we do get the occasional ice storm and or even a dusting of snow. Invariably, as winter clouds move over our town in Texas, we here at Legacy AC and Heating start getting calls asking about how to best care for an air conditioner in frigid conditions. 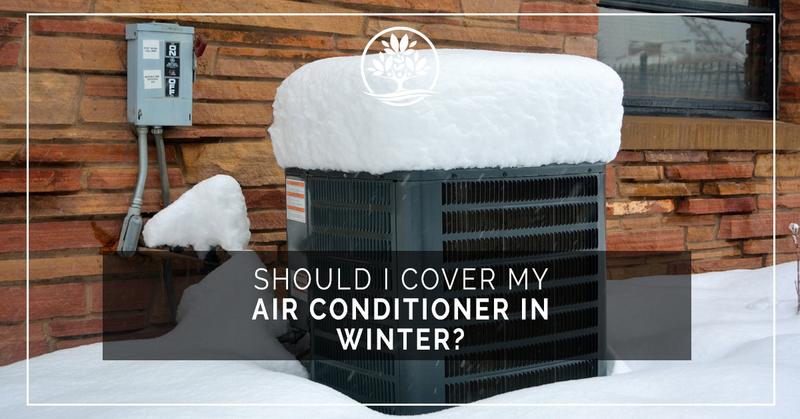 Perhaps the question we hear most during the winter season is “should I cover my air conditioner in winter?” It’s a fair question in far-from-fair climatic conditions. In our more than 30 years of serving New Braunfels, we’ve seen homeowners keep their ACs covered or left to fend for themselves in the elements, but which is right? We hope to uncover the truth in our latest blog post. When you stop and think about it, covering your AC during the winter seems like an obvious choice. How often do you come out to a layer of moisture or even ice on your car? Wouldn’t your AC experience something similar? Especially since it’s not being used as much, or even at all, during the winter. You don’t want rain, snow, and ice working their way inside the unit and causing issues with various components and assemblies. It’s a sound line of thought, but it’s not quite right. In fact, covering your AC might do more harm than good in the long run. Why? Let’s find out. In colder months, it’s probably not uncommon for you to find mice or other small rodents living in and around your garage or outdoor sheds. That’s because these animals are naturally drawn to warm, enclosed spaces. While a covered AC may not be exactly warm, the cover can protect them from the elements. Additionally, they can shred the cover itself and use it to build their nests that are nearby. You might also experience other issues like nibbled on cables and wires, and damaged freon lines. The result is that you’ll have a higher repair bill in the spring when you get your AC inspected. One of the great things about using an air conditioner in your home is that it treats the air in your home, keeping mold and mildew from building up as it draws moisture outside. However, covering your AC in the winter can actually lead to a buildup of these same materials in your unit. That’s because the cover serves to collect moisture on the AC and within it as well. Your AC is designed to be exposed to the air, and blocking it prevents regular air flow across your evaporator coils. You might discover mold growing on your coils when you uncover your AC in the spring. So My AC Can Go Uncovered All Year Round? Well, yes and no. It really depends on where your AC is positioned on or in your home. If it’s outside and near a large tree or bush, you might consider putting a small cover on the top of it during the height of fall to keep leaves, twigs, and dirt from falling into it when the leaves change. But it’s best to let it sit uncovered during the winter. If you’re looking to keep your HVAC system running in tip-top shape all year long, it’s time to give the service experts at Legacy AC and Heating a call. 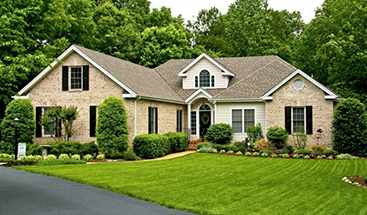 We can ensure that you stay comfortable in your home no matter what time of year it is. Call us today to schedule your next HVAC appointment.